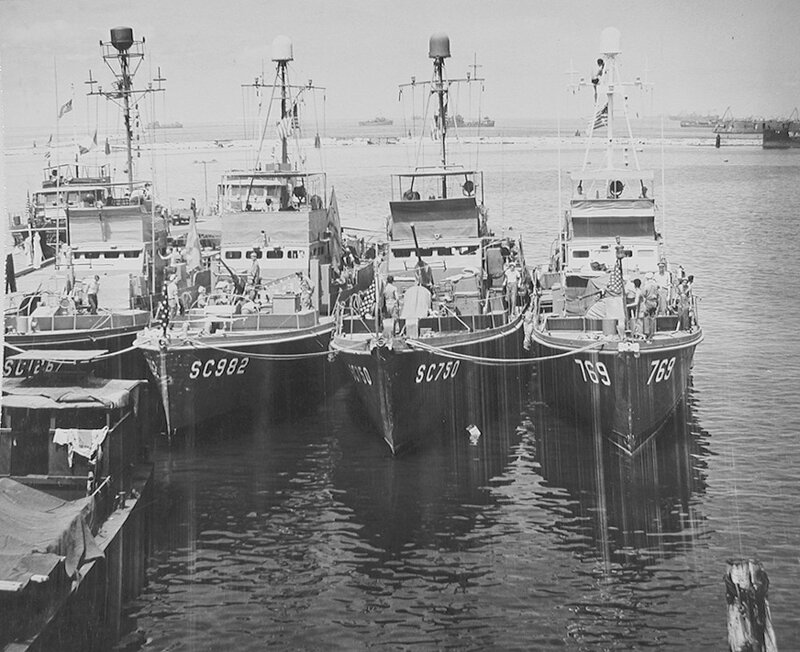 SC-982 served the Navies of the United States and the Philippines. Photo caption: "Aboard these American submarine chasers at Manila, P.I., Filipinos train and learn the fundamental operations of small craft. With U.S. Navy crewmen as instructors, the Philippine Off-Shore Patrol is learnig to function as a Navy unit.